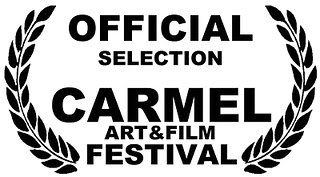 Dig is an official selection of the Carmel Art & Film Festival in beautiful Carmel, CA. Dig will screen twice during the festival. First, on Friday, October 14th at 2 pm as part of Shorts Program #2 at the Youth Center JRS Theater and then again on Saturday, October 15th at 4pm at the same location. For those in Northern California it's a great excuse to visit Carmel if you've never been and we couldn't be more honored to have Dig chosen as an official selection. For more on the festival, screening schedule and tickets, visit their website. Set amidst the extraordinary natural beauty of Carmel, California, the Carmel Art and Film Festival hosts five days of groundbreaking art, exclusive premieres, and one of a kind encounters with today’s leading artists, filmmakers, and industry professionals. A 501 (C) 3 non-profit organization, The Carmel Art and Film Festival supports local and regional charities and offers several scholarships to established and emerging art and film students. The third annual Carmel Art and Film Festival will be held October 12-16, 2011 at several venues including on the famous white sands beach of Carmel-by-the-Sea. This year’s festival is expected to draw over 10,000 attendees. Filmmakers, film lovers, and industry professionals have enjoyed the Carmel Art and Film Festival which showcases the best of independent cinema and contemporary art, music and photography from around the globe including narrative feature, documentary, short, student, retrospective and premièring films. Looking to educate and entertain, the festival also includes an interactive lecture series including a film score demonstration in real time, the Art of Wine gallery tour and wine paring, Art in the Park featuring artists in various mediums, art auctions, a Women in Film luncheon, film and panel discussion, and an emerging artists music café.